We have mega Shakeology news that will get your taste buds dancing! In celebration of Shakeology’s 6th Anniversary, we’re launching the Shakeology Super Sampler – coming March 16th, 2015 at Team Beachbody! For the first time ever, you can have every Shakeology flavor in one box for just $29.95 USD. 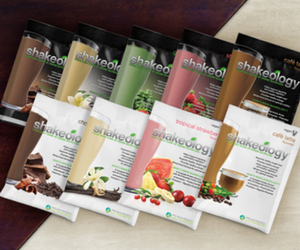 You can sample all 6 flavors and experience the benefits of drinking Shakeology daily. This is perfect to help you decide which Shakeology flavor is your favorite! The Shakeology Super Sampler consists of all flavors of Shakeology (1 Chocolate, 1 Vanilla, 1 Strawberry, 1 Greenberry, 1 Tropical Strawberry Vegan, and 1 Chocolate Vegan). Each Super Sampler will come with a copy of the Shakeology Welcome Guide plus several mouthwatering recipes. 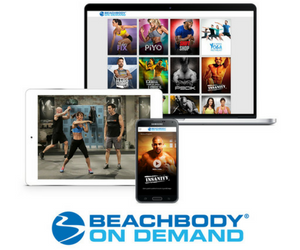 Shakeology is much more than just a protein shake or meal replacement shake. Thousands of people experience amazing benefits and transformations every day from drinking Shakeology, including helping with weight loss, increased energy, healthy digestion, and even reduced cravings. I have personally been drinking Shakeology since 2009 and love it! 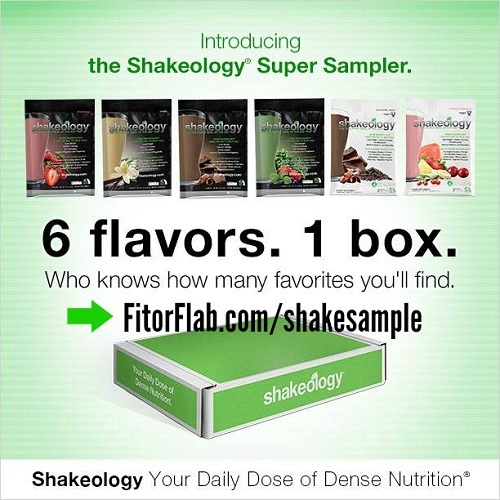 I am super excited about the new Super Shakeology Sample pack – it will give you a chance to try out all the flavors. I am sure you’ll love more than one! Get ready for the new Shakeology Super Sampler with all 6 flavors!